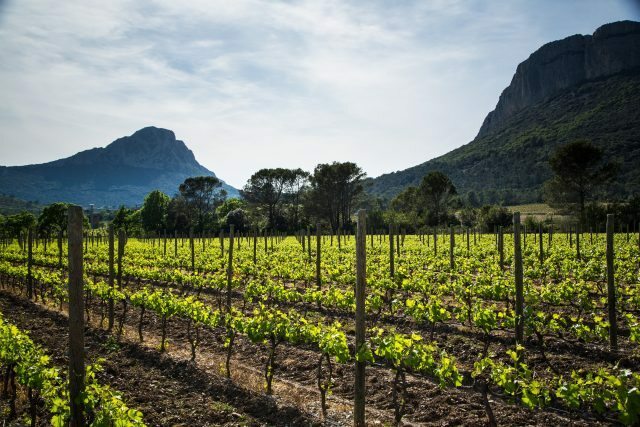 Currently classified as a AOC Languedoc-Pic Saint Loup, the region was approved to promotion to just AOC Pic Saint Loup by the national board of the INAO on 7 September 2016. The promotion now needs to be signed off by the French minister for agriculture, which is expected to take place soon so that producers can begin labeling their wines as AOC Pic Saint Loup from the 2017 vintage. The new AOC will only cover the red and rosé wines from the region and will slightly enlarge the production area, extending to 17 villages from the current 13. All red wines must be at least 50% Syrah and include either Grenache or Mourvedre or both and small percentages of Carignan, Cinsaut, Counoise and Morrastel are also permitted. All red wines must also spend at least six to eight months in barrel before bottling. For the rosé wines Syrah must constitute at least 30% of the blend and again either one or both Grenache and Mourvedre. Slightly higher proportions of Carignan will also be allowed as well as Grenache Gris, Counoise and Morrastel. It is also the right choice as the other speaker at the masterclass, Christy Canterbury MW (via video-link) pointed out. She explained that Pic Saint Loup is the northernmost, coolest and wettest of all the AOC in the Languedoc, seeing 1,000mm of rain a year on average. It’s also close to the Rhône and “the most Rhône-like of the Languedoc AOCs”, further suiting varieties such as Syrah and Grenache. François Orliac of Domaine de l’Hortus told the drinks business that from the 1950s to 1970s production in Pic Saint Loup was driven by “petit vins” for the market in Paris and many sites planted with the more traditional Grenache were grubbed up and planted with the high-yielding Cinsaut and Carignan, which usually failed to ripen properly in the cool temperatures in the shadow of the Hortus and Pic Saint Loup ranges which frame the area. The quality of the wine declined as did Pic Saint Loup’s reputation but from the mid-1980s onwards there was a revival and the region was replanted with Syrah, Grenache and Mourvedre, with the only Cinsaut and Carignan left behind being those plots that do suit it – generally those with a southerly exposure said Orliac. It is often said that Mourvedre will only make a good wine if it can see the sea, noted Gabay, which makes its inclusion as an important grape in this inland region somewhat confusing. However, as Gabay continued, if Mourvedre cannot see the sea then it enjoys a high diurnal shift and this is the case in Pic Saint Loup where hot temperatures during the day in summer give way to markedly chilly evenings. The “hodge-podge” of soils, as Canterbury called them, was also remarked upon. The Pic Saint Loup and Hortus mountains were formed during the Mesozoic era (spanning the Triassic, Jurassic and Cretaceous periods) and includes various limestone and marl types and alluvial deposits among others which, along with the northerly and southerly exposures provided by the two mountains, largely dictate where the three principal varieties are grown.